Garry Donald's brand new video, From the Forest to the Prairie, is now available. This professionally made wildlife production was three years in the making. Garry travelled across Saskatchewan, spending hundreds of hours in the great outdoors to capture amazing footage. 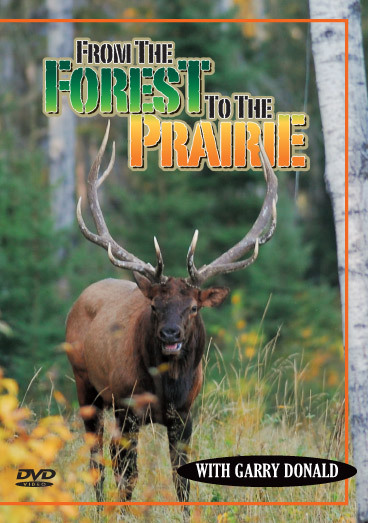 If you like elk, we have lots of superb footage for you in this movie. You will see these majestic forest bull elk up close and personal during the peak of the rut. The insane bugling will send shivers down your back and make you wish that elk season was starting tomorrow. You will also see many trophy mule deer including Shadow, a giant typical that net scores 200 inches. The General also makes another appearance in this video and would easily make the Boone and Crockett record book. Old Drop-Tine Charlie with his foot long daggers that reach for the ground makes his final entry in this video. It is also backed up with footage of big mature whitetails from the forest to the prairie. 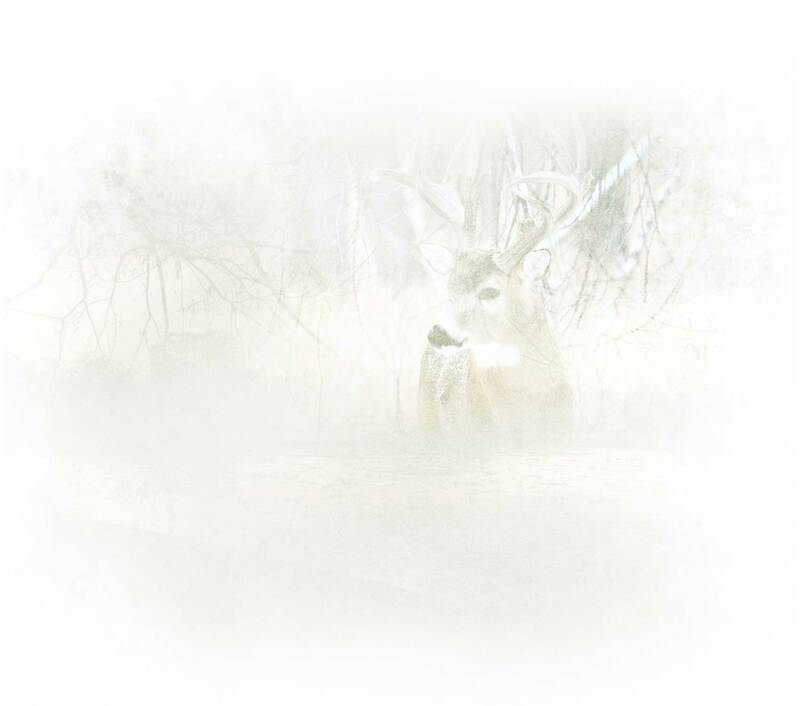 An added feature in the Bonus Section is a final tribute to the legendary whitetails and mule deer that were made famous in "Big Buck Magazine." See each one of them in all of their glory along with history of what happened to each of them. Garry was also one of the lucky hunters who drew a special elk tag in 2013. You will witness the beautiful country these elk live in and see how this hunt unfolds. Rob Manley and Bill Longman are behind the cameras for this adventure. The whole family will enjoy this video. Includes all taxes and shipping. 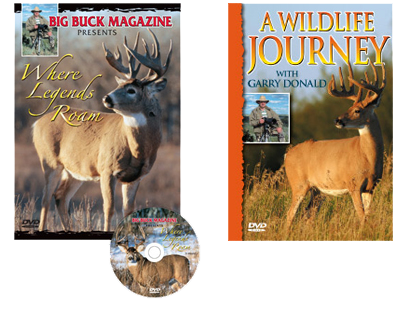 This DVD has lots of footage on Heavy Duty, one of the most famous whitetails in North America. See a nasty buck fight along with lots of footage on tremendous whitetails along with massive mule deer. 79 minutes; now only $19.95. The Legend series is only available while supplies last. "A Wildlife Journey" with Garry Donald This video is loaded down with some of the biggest whitetails and mule deer in the country. See the magnificent whitetail, El Dorado over a three year period. Also see the potential world record mule deer along with an incredible 260 non-typical whitetail. Another wild and crazy buck fight. Prices include all taxes and shipping. All money orders from the U.S. must be International Money Orders. The trailer for "A Wildlife Journey" with Garry Donald. Garry captures footage of some of the biggest whitetail, mule deer, moose and elk in the country. This DVD contains footage of "El Dorado" in all of his glory. Also in this DVD you will see the new potential world record mule deer, along with another monster that nets a whopping 268 inches. As an added feature, you will see many of the high scoring sheds from these king bucks. This movie contains no hunting and picks right up from the Where Legends Roam DVDs left off. The whole family will enjoy Garry Donald's Wildlife Journey. This footage is just five minutes out of the many hours I captured on the deer trails in 2009. The first scene was from the first week of October during Saskatchewan's muzzleloader season. I had set up near a fenceline, and just when I thought it was going to be a bust, I spotted two deer. My Vortex binoculars confirmed it was a wide-racked mule deer and an average whitetail. As they passed by me at 60 yards, I noticed two things about the whitetail: he had white markings from his chin down to his legs, and he had an injured front shoulder or leg. As you can see, he had difficulty jumping the fence. Featuring some of the big bucks filmed by Garry Donald of Big Buck Magazine. Big Buck Magazine presents live deer footage by Garry Donald.